Free shipping Aeleo Car Pillow Kit, the newest Aeleo Car Neck Pillow + Aeleo Lumbar Back Pillow. made of real genuine leather. 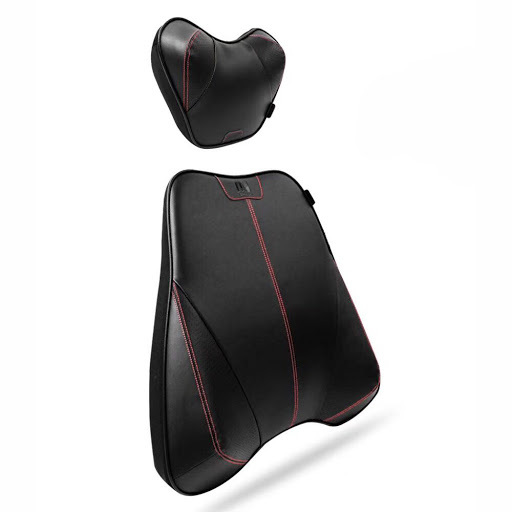 ergonomic design makes head rest and neck comfortable. waterproof, breathable, dirty-proof. universal for both adults and kids. A Genuine leather Car Pillow made of premium memory foam. only six seconds will be able to rebound as ever, Perfect fit Home Chair, Car Seat and release pressure. Great for Passenger Comfort. Apply to driving, reading, or watching TV. Great solution to lousy headrests. 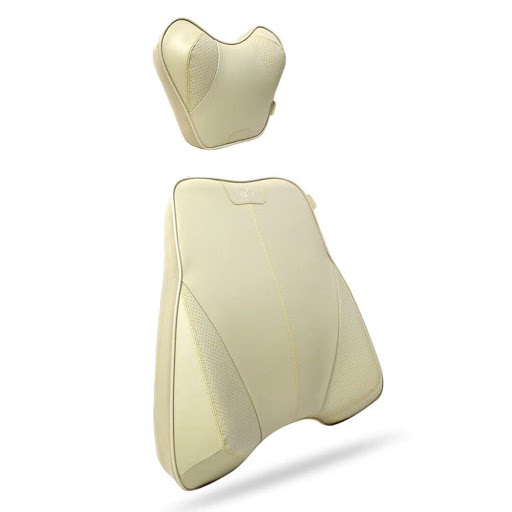 Aeleo Car Lumbar Pad and Neck Pillow Ergonomic design: According to the human body curve design, perfect fit the Lumbar, bearing the waist and neck, the release of cervical spine fatigue, even long driving can be relaxed. There are tiny holes allowing the fabric to breathe. Reduces whiplash injury while driving. Aeleo Back Pillow and Neck Pillow have Detachable coat, Fabric does not fade,and Will not wrinkle. Price for 1 piece car waist pillow + 1 piece car neck pillow.